CSW2019 is held at Nara Kasugano International Forum 甍 IRAKA located in the central of Nara city, Nara Prefecture, Japan. Nara is the capital city of Nara prefecture located in the Kansai region and easily accessed via the three major cities of Osaka, Kobe and Kyoto. 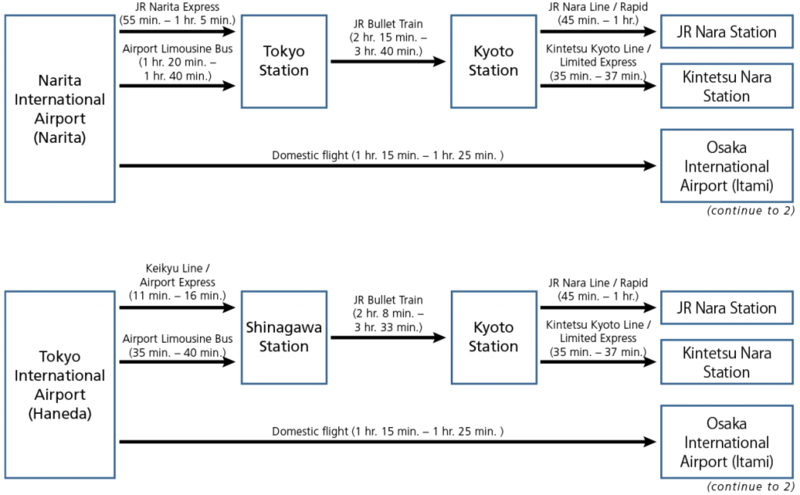 The closest airports are Osaka International Airport (Itami) and Kansai International Airport (Kanku). Take a Nara Kotsu bus (for Kasuga Taisha Honden) from JR Nara Station to Nara Kasugano International Forum IRAKA Mae, and walk for 1 minutes. Take a Nara Kotsu bus (Nara-city Loop Line / clockwise) from JR Nara Station to Todai-ji Daibutsu-den/ Kasuga-taisha Mae, and walk east for 3 minutes from the Daibutsu-den intersection. Walk east for 20 minutes. Take a Nara Kotsu bus (for Kasuga Taisha Honden) from Kintetsu Nara Station to Nara Kasugano International Forum IRAKA Mae, and walk for 1 minutes. Take a Nara Kotsu bus (Nara-city Loop Line / clockwise) from Kintetsu Nara Station to Todai-ji Daibutsu-den/ Kasuga-taisha Mae, and walk east for 3 minutes from the Daibutsu-den intersection.